Here is another winter themed photo. I took the photo when I walked through a small forest in Reinfeld. They mark different trees with a spray can and decide which one they will log off. Not sure how they decide but it’s good that they don’t cut down the whole forest. They just pick out individual trees. I saw signs that explained the spray markings, but I can’t remember anymore what the different signs mean. My, that looks cold. Weather been cold for you lately? Yes but it’s a rather moderate winter. Winters have been a lot colder and a lot more white back then. Tell me about it…. Winter is non existent here in hk this year….. Worrying actually! Definitely worrying. We have way too hot summers here now in Europe, and almost non existent winters that rather feel like cold autumn days. Absolutely worrying. it may have to do with the type of tree. Oaks on the ground tend to look like maples on the ground, and if you’re selectively cutting, you need to keep your trees straight. Yes, when they are already cut off. 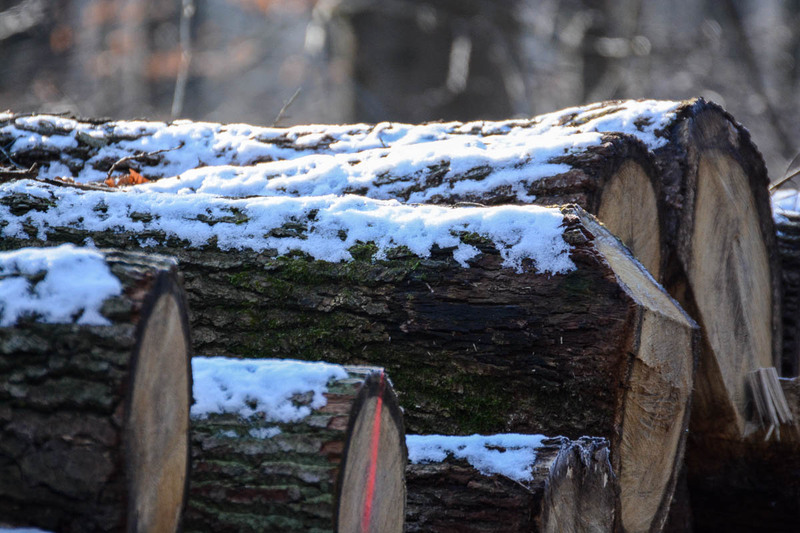 But I meant the markings when they aren’t cut yet… they select trees to log off. I remember they use an “X”, “O” and two other signs. I just can’t remember what the different signs meant, but they were showing it outside of the forest.